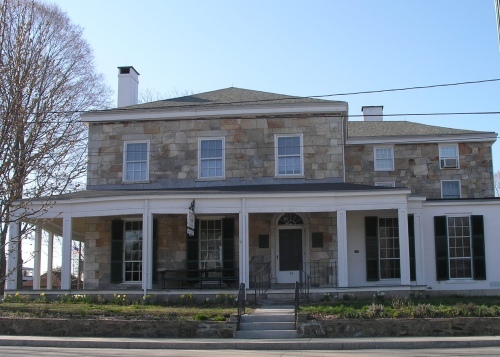 The Perkins-Rockwell house was built by Major Joseph Perkins in 1818 from stone quarried on the site. In 1934 the house was sold for $1.00 to the members of the Faith Trumbull Daughters of the American Revolution by Mary Watkinson Rockwell Cole. Original plans for the house were drawn on the back of militia records and are available for viewing at the museum. The house contains the collections acquired through the years by members of the Faith Trumbull Chapter, NSDAR. Acknowledgements: The Faith Trumbull Chapter, NSDAR owns, operates, and maintains this museum and has regularly scheduled tours and events.